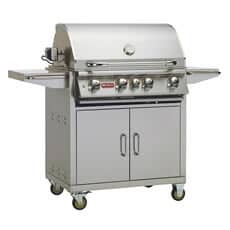 Gas Barbecues are massively on the increase due to the ease of use gas bbq�s offer. No more messing trying to get Charcoal lit before it starts to rain again! 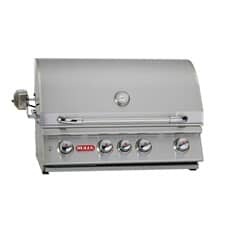 - With a gas bbq all you need to do is turn on the gas and press the ignition button and within 5 - 10 minutes your gas bbq is good to go. The flavour from gas barbecues is much improved its not easy to tell the difference between food cooked on charcoal and food cooked on gas. 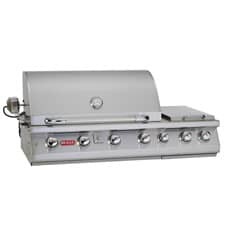 Gas barbecues are convenient and they offer quick and easy lighting, while needing less time to fire up before you can cook on them. 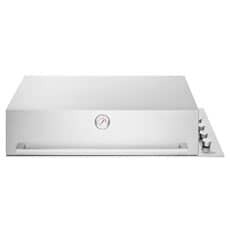 They also tend to include additional cooking features such as multiple heating zones while some offer infrared zones, thermometers, and more. 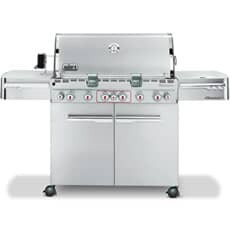 With competitive prices on brands like Weber and Outback, BBQWorld has some of the best and most appealing gas barbecues. 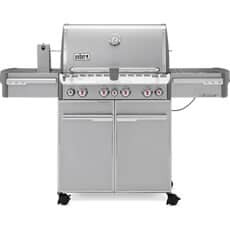 As well as some of the best gas barbecues on the market, and the latest models from some of the biggest names, we also have barbecue utensils and accessories, as well as replacement parts. 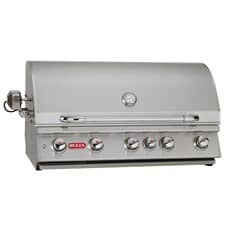 A basic gas BBQ will usually have two burners. 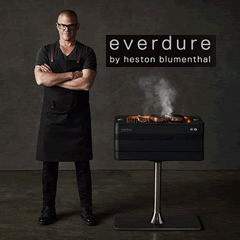 The burners sit under the gas BBQ grill and they heat the food on top of the grill. 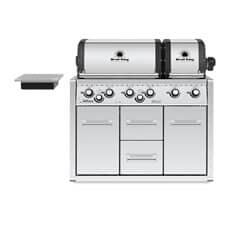 The more burners, the larger the barbecue, and the more food you can cook. 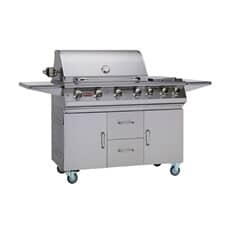 However, not everybody wants a barbecue to cook for half a dozen people, and if you want something that is easy to store and that can even be taken on holiday with you, then a two burner gas barbecue could be your best option. For bigger cooking requirements, you can buy barbecues with three, four or even six burners. One of the reasons that many people struggle when they barbecue is because they try to prepare all the food on a single heat. Creating multiple cooking zones, with different temperatures, enables you to create more complex dishes but it also makes it easier to master the basics. 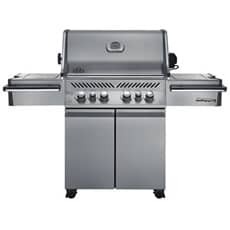 With a charcoal barbecue, you can stick the lumps of charcoal at one end which essentially gives you two cooking zones, but with multiple burners on a gas barbecue you can enjoy using multiple cooking zones without having to carefully place the charcoal. 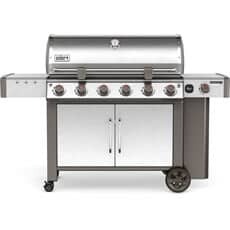 Some gas barbecue grills even include additional rear and side heating zones that use infrared as the heat source. 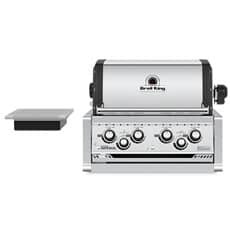 These zones not only provide additional places to cook your barbecue food, they heat at much higher temperatures, which makes it easier to sear meat and cook steaks. 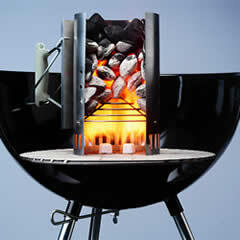 Some gas barbecues are very similar in their design to charcoal barbecues. They offer an open cooking area and the only real difference is that they use a gas flame to heat the food. 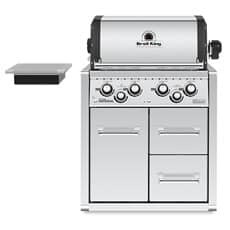 While these are still more convenient than charcoal barbecues, they don't really offer the full benefits that a gas model has to offer. 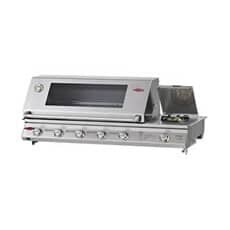 As well as choosing gas barbecues that incorporate a number of cooking zones, you can also buy one that has a hood to retain heat, and some of these models include an accurate and inbuilt thermometer. The thermometer allows you to check when the barbecue has reached cooking temperature, and it makes it easier to prepare meat at the right temperature, preventing you from burning and ruining food, and making it more difficult to undercook food and potentially make people ill. 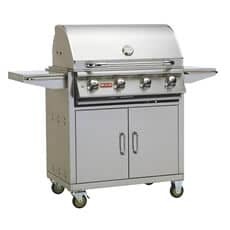 Most barbecues use a gas BBQ grill as the cooking surface. As the food cooks, fat drips off and lands on the surface underneath. This causes the awkward flare ups that can ruin food, and it also makes it difficult to cook some types of food; those that require a solid cooking surface for frying or searing food. 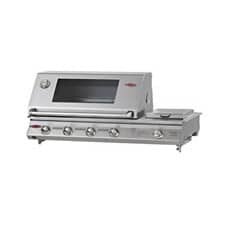 Griddles and hot plates are available on some of the gas BBQs that we stock, and these allow you to cook the food directly on a hot surface. You can cook steak and other meat without the juices being allowed to run away, giving you juicier and better tasting dishes every time and hopefully preventing you from having to overcook food simply to make sure that it is cooked right through. 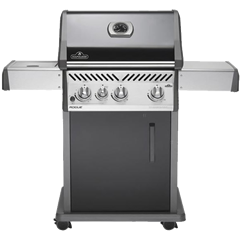 Both charcoal and gas barbecues are available as compact models. These are not only a convenient option if you are going camping or on an outdoor trip, they are also more convenient for those that have limited space. Buy a cover and a portable barbecue can be stored anywhere, whether it is in a shed or other damp environment. You can also pack your barbecue up and pack it in the back of the car so you can cook outside your caravan or tent. 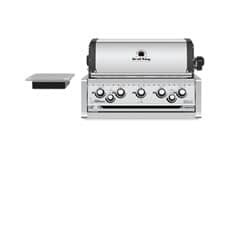 Some barbecues are made with a double skin design, and this means that they won't damage the surface where you're cooking. You can prepare food on the grass, on a picnic table, or on the beach. For a true outdoor cooking experience, you can create what is effectively an outdoor kitchen area. 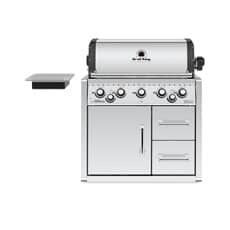 Many of the big names, like Weber and Outback, produce built-in gas barbecue grills. 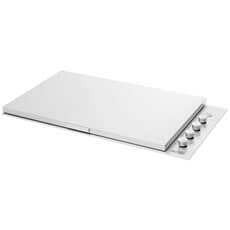 These can be fitted to units on decking and patios. The gas bottle is typically stored under the unit, although you can also find some models that even include regulators and fittings so that they can be fitted directly to your mains gas supply. 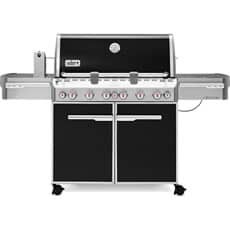 When buying built-in gas barbecue grills, you have the same range of features to choose from as you do when buying a free standing grill. 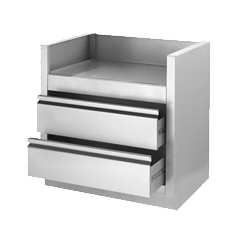 Choose multiple burners, grills with multiple heating zones, and benefit from surfaces and unit surfaces that are more robust and long lasting. 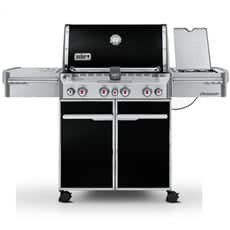 At BBQWorld we not only stock gas barbecues and built-in gas barbecue grills. We also have replacement parts from some of the biggest manufacturers. Buy replacement handles, spare regulators, and other replacements at competitive prices and have them delivered, typically next day, straight to your door. 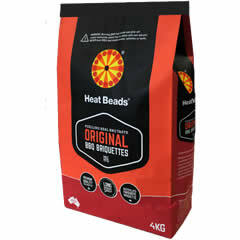 We also have cooking utensils, accessories, smokers, and smoking chips. 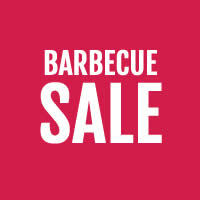 With BBQWorld, we can help improve your barbecuing experience. 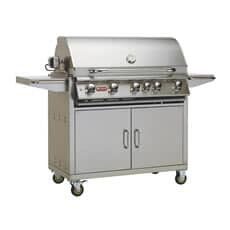 Either buy through our secure website or visit Dawson's Department Store where you can take a look at our stock of barbecues and you can talk to one of our knowledgeable staff, who can help you decide which is the best barbecue for your needs.